You’re ready to overhaul or update the landscape of your yard. Maybe you just moved into a new home, and the landscape needs updating. You could do it yourself, spending a lot of time, energy and money on the project. A better option might be to work with an expert in landscaping. What should you know about hiring a landscape company in Southeast Michigan? Not only hiring an expert but hiring one that doesn’t just follow the standards but sets them? Sometimes, who you know makes a lot of difference. 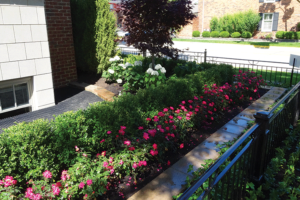 When working with a landscaping contractor, you want an established expert in the field. This means that memberships in industry organizations are a very good starting point. Examples include the Michigan Nursery and Landscape Association (MNLA) and the Michigan Green Industry Association (MGIA). You want more than a crew with a truck and a few mowers, blowers, and weed trimmers. You need a team of experts that can help you plan a professional landscape design, handle the budgeting, and remove the old landscape. Work with someone who understands that native Michigan plants. Someone who knows that evening primrose or bee balm could be great additions to your flowerbed. A real landscape expert can offer input into the choice of block or boulder retaining walls, while at the same time feels just as comfortable talking about paver lighting and irrigation design. Sure, you might not be thinking of redoing your driveway right now, but you might consider it down the line. The expert should have the ability to treat your property as an ever evolving project. When you select a landscape expert they should have as many services readily available at any time. 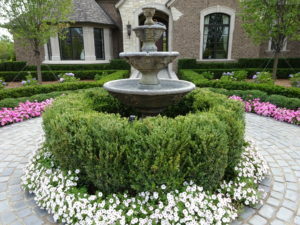 When hiring a landscape company, think past today’s needs. As you use your yard, your needs change. Children grow up. You change the way you entertain. Maybe you want to boost your outdoor entertainment space by putting in a patio with decorative brick. As we mentioned previously, an experienced and accomplished firm offers you options for a variety of services and techniques. But what about custom stone work? You don’t want retaining walls, patios, or walkways that look like everyone else’s. Your yard should stand out because of its great looks and the organic flow. Maybe you’re thinking of adding in a waterfall. Again, this is something only experts in landscaping can provide. As your landscape needs grow with changing uses of your garden, lawn or patio, you will save yourself time and money because you don’t have to interview new contractors. 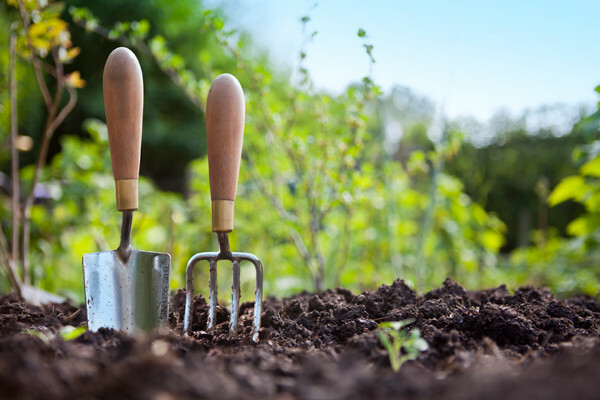 The professionals you’ve trusted all this time to help you with your gardening needs can do that, too. You’ve probably been getting plenty of business cards and flyers that advertise landscaping services. Don’t base your decision of who’ll fulfill your dream on the pretty graphics and low prices. Instead, take the time to interview the landscape professionals. What’s their vision for your property? How do they propose meeting your needs on a timely basis? What’s their level of flexibility when it comes to adding new services? Only when you feel comfortable that someone shares your vision should you make a hiring decision.